Despite all the doom and gloom of these cold winter days we have some good news for our customers in 2010 which might just turn thoughts to spring! We've conducted our annual review of finnforest log cabin prices and are pleased to pass on some huge savings! With an average saving of over £300 this really is fantastic news. When installing finnforest log cabins we have always been impressed by the quality of timber and fittings and their delivery service is second to none. 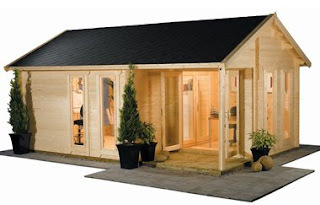 View our finnforest log cabin bargains!